This time last year I recall being a little bag full of different emotions. I had applied to university, received a few offers and was awaiting the big move in September. Obviously I didn't know where I was going yet but I knew I was off to uni and that was enough to send butterflies fluttering all around my stomach. What would it be like? Would I make friends? Was I making the right choice? Was this going to be one long, expensive period? Packing up all of your belongings and moving away to somewhere independently can be extremely nerve-wracking and scary. The fear of the unknown, and not knowing what to expect, is enough to put some people off completely. 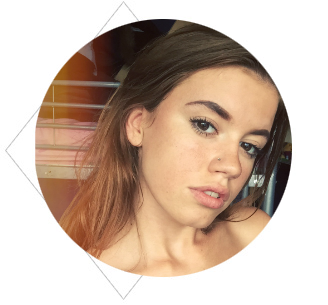 Heaving up all your roots and going off to uni could be seen to be one of the biggest steps in your life, and taking that step can feel a bit more like a big wobbly leap than a graceful jump. Although uni isn't for everyone (I have lots of friends who are all completely happy, and glad, that they didn't go off to uni) I personally feel like this was the best decision for myself. If you are off to university this September, here are a few tips to take into consideration when preparing for your move. 1. When pre-shopping for all your uni needs, don't bother stocking up on nice plates, cutlery and glasses. Before I went, my mum took me to IKEA and I picked out pretty patterned glasses and nice plates and cutlery, with visions of them being stored in my cupboard and being used to cook up delicious meals for myself on. Not the case. By the end of the year you will be left with just one fork (if you're lucky), and that fork will not even be yours. Parties are thrown, people come over, things get mixed up and stuff can get broken - mostly unintentionally. Just buy some cheap kitchen stuff and expect everything to get smashed. 2. Before heading off, work out your financial situation. Work out how much money you will have each term (whether it's money from a loan/grant or money you've saved) and split it into weeks so you know exactly how much you have each week. One big mistake that I made was not splitting all my money into a weekly plan. When my student loan came in, I (and my super cool party-hard friends) felt like we were rich for two weeks and lived like royalty. I'm talking expensive cheese, drinks out every night, clothes shopping every day, the lot. And we were then left skint for the rest of the term. Don't do this. Work out your financial plan and set yourself a spending limit each week so that you're not left short at the end of term. 3. Stock up on "cupboard food" before you go. One thing I've learnt is the value of a tin of soup and a carton of long life milk. When you wake up extremely hungover in the morning and want a cup of tea but have no fresh milk, long life milk will save your life. Fill your cupboards with things that are long-lasting and that won't go out of date straight away. Soups, cereals, pasta, super noodles and pasta sauces in jars are all perfect uni foods - pop them in your cupboard and use them when you've run out of your fresher foods. 4. 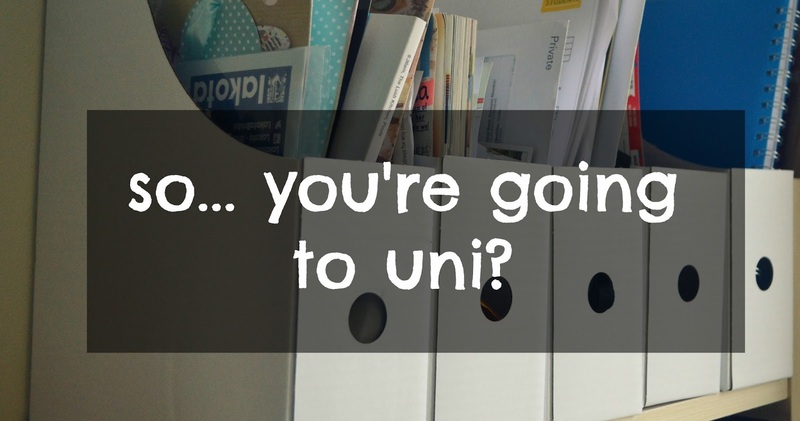 Try and find out exactly what your uni room is like before you go there. Although you may have seen pictures, not all uni rooms are the same... as I found out. With images of a nice big double bed in my head, I turned up with double sheets and covers, only to be met with a measly single bed. Turns out some rooms have double and some have single, depending on their angles and positions etc. I then had to go and purchase more bed sheets and covers to fit my single bed, which was more money and very annoying. If you're planning on bringing your own curtains, check how many windows there are in your room too - this also varies. 5. 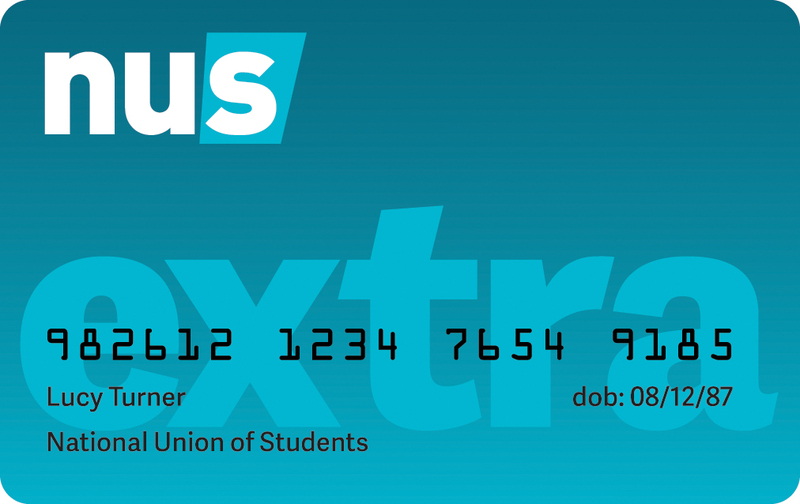 Buy/sign up for an NUS card before you go. It only costs £12 and will save you so much money. With amazing student discounts on shops like Miss Selfridge and ASOS, and restaurants such as Pizza Express, you can save a lot of money in the long run. Use your card when shopping for food (10% off in the Co-op!) or clothes and jewellery (currently 10% off at Accessorize with an NUS card) and you will be saving up pennies in no time. 6. Before making the big move, check the requirements of your course. What books do you need? Is there any equipment you are expected to have? Check what you need and buy before you leave. Order books through Amazon - you'll find most students just get second hand books. Turning up with everything you need already makes life a lot easier, and also means you can dive into your course straight away. There's nothing worse than waiting for a book to arrive and falling behind with reading and work. 7. Don't panic. Although I was extremely excited to move away and start a new little life in university, I did get moments where my thoughts would run wild - "I can't do this, what am I doing, I'll never be able to survive, I'll miss everyone, what if I hate it" - and I want to reassure you that everyone gets these nerves. It's natural to fear the unknown and you will often get the what-the-hell-am-I-doing feeling, but trust me, there is so much more to be excited about than to fear. In moments of panic, remind yourself that this new journey you are about to embark on IS going to be one of the best journeys of your life, and you've totally got this. I hope this helps some of you, and relaxes your nerves a little (if you have any!). University will be one of the best experiences in your life - people really aren't lying when they say that your uni years are the best ones of your life. My final tip is to enjoy every single moment. For those of you who are off to uni, good luck! You will be fine and you will love it. Student beans and UniDays are great for Student discount too. It's never too late! ;) Aww, that's so funny - and pretty much my experience haha. I miss uni so much! I've managed to get myself an NUS extra card this year even though I graduated almost 3 years ago!